But chicken takes longer to cook than either hot dogs or hamburgers, and loves lower cooking temperatures, so it’s easy to mess up, either under-cooking, over-charring, or both. The trick to good BBQ Chicken? Done right, it will take at least an hour, and even up to 2 hours. Remember that barbecue is slow and low, grilling is hot and fast. You can grill a chicken breast, but chicken thighs, legs or wings are far better barbecued. The key here is to moderate your heat, however you can. Either set the coals of the grill all on one side so you have a cool spot, put the chicken on the top rack of the grill, farther away from the heat, or, if you have a gas grill, just turn the heat to low. Slow and steady makes the best BBQ chicken. The following is more of a “how-to” than a recipe. We recommend using your favorite barbecue sauce; we have several homemade barbecue sauce recipes which would work beautifully with chicken. Do you have a favorite BBQ chicken recipe? Or tip you would like to share? Please let us know about it in the comments. Chicken thighs and legs will hold up better to long, slow heat than will breasts which can more easily dry out. If you barbecue breasts, keep them on the coolest part of the grill. This recipe assumes fairly large chicken pieces (like the main pieces from a 4 to 5 pound whole chicken). If you are working with smaller chicken pieces, they may require a shorter cooking time. If you are cooking wings, they too may be done before the other larger pieces. A note about the skin. Even if you do not plan on eating the chicken skin, it's best to barbecue it with it on. The skin will protect the chicken pieces from drying out. 1 Salt and oil chicken pieces: Coat the chicken pieces with vegetable oil and sprinkle salt over them on all sides. 2 Prepare grill: Prepare one side of your grill for high, direct heat. If you are using charcoal or wood, make sure there is a cool side to the grill where there are few to no coals. 3 Sear chicken on hot side of grill, move to cool side: Lay the chicken pieces skin side down on the hottest side of the grill in order to sear the skin side well. Grill for 5-10 minutes, depending on how hot the grill is (you do not want the chicken to burn). Once you have a good sear on one side, turn the chicken pieces over and move them to the cooler side of the grill. If you are using a gas grill, maintain the flame on only one side of the grill, and move the chicken pieces to the cooler side, not directly over the flame. Reduce the temp to low or medium low (between 250°F and 275°F, no more than 300°F). 4 Turn over and baste with barbecue sauce: Turn the chicken pieces over and baste them with with your favorite barbecue sauce. Cover the grill again and allow to cook for another 15-20 minutes. Repeat, turning the chicken pieces over, basting them with sauce, covering, and cooking for another 10-30 minutes. NOTE that timing will depend on your grill set-up, the size of your chicken pieces, and how cold your chicken pieces are to start with! If you are grilling smaller pieces of chicken on a charcoal grill, they may be done much earlier. The goal is to maintain a low enough grill temp so that the chicken cooks "low and slow". 5 Finish with a sear or remove from heat when done: The chicken is done when the internal temperature of the chicken pieces are 160°F for breasts and 170°F for thighs, when tested with a meat thermometer. Or if you insert the tip of a knife into the middle of the thickest piece and the juices should run clear, the chicken is done. If the chicken isn't done, turn the pieces over and continue to cook at a low temperature. If you want can finish with a sear on the hot side of the grill. To do this, put the pieces, skin side down, on the hot side of the grill. Allow them to sear and blacken slightly for a minute or two. 6 Paint with more barbecue sauce to serve. Hello! All photos and content are copyright protected. Please do not use our photos without prior written permission. If you wish to republish this recipe, please rewrite the recipe in your own unique words and link back to Barbecued Chicken on the Grill on Simply Recipes. Thank you! This was fantastic, thank you. 42 years old and finally the best way to grill thighs! I followed time to the letter, totally worth it! Excellent! My first attempt on my gas grill made my chicken so tough, this definitely was longer time in cooking but oh so good rave reviews! Can you boil the chicken first before putting it on the grill? Hi, Kirby! Emma here, managing editor. I’ve never heard of doing that for grilled chicken, but I suppose you could do that if you like! I’d recommend patting the chicken VERY dry in order to crisp the skin. Also, your grilling time will be much less since the chicken will already be partially- or even fully-cooked. 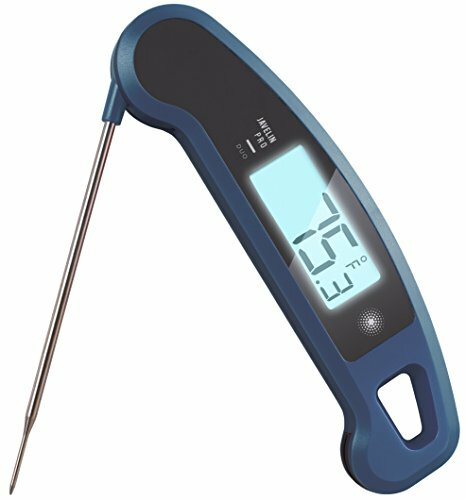 Use an instant read thermometer and grill until the chicken has reached an internal temperature of at least 165F. Enjoy! One method of keeping the heat down while adding flavor to the chicken (or whatever) is to use about 2/3 of your favorite type of wood chunks to 1/3 charcoal. The wood burns slower and cooler than charcoal and can add flavor, as with mesquite or hickory. “Once you have a good sear on one side, move the chicken pieces to the cooler side of the grill.” When I move to the cooler side of the grill, should I flip the chicken over to the non-seared side? Yes. Thank you! I’ve clarified that in the instructions. when ever I have chicken to cook on the grill I prepare it with a little oil and a sprinkle of herbs and garlic power then microwave for a few minutes turning once. DO NOT put on high on a gas grill for the first 5-10 minutes. If you have oiled the chicken, you will have a fire on your hands. Recommend only oiling the grill gently and with sauce on the chicken just put the grill on MEDIUM for the first 5-10 minutes. Live and learn. Great recipe!! I make my own BBQ sauce-with habanero peppers. There are abundant in my garden now so I use them any way I can. This is an excellent “recipe” and particularly its addressing the techniques – grilling and barbecuing – which are too often used interchangeably. It also addresses the current situation where most of the chickens sold – either whole or in pieces – are quite large. Years ago a dear friend, whom I miss, showed me her way to do chicken breasts in the broiler part of her oven. It required more than the shallow broiler that slides in under a large main oven as it called for the pan with the chicken to be 9 inches or so below the broiler flame or electric element. It has served me well for decades, with both gas and electric broilers. Slooooow cooking. Multiple turnings. And a must: An instant read thermometer. I left out something important about my friend’s oven barbecued chicken breasts. These were the ones sold on the bone with skin. Not boneless, skinless breasts. I’ve only been cooking about 4 years now… I’m a single female… and I tried your recipe…. I’ve been told I make the BEST BBQ CHICKEN anyone’s ever had at least 4 times!!!! Thank you soooo much! Yay, I’m so glad the recipe works so well for you Autumn! This is more of a recipe than cooking style. I soak my chicken in beer for about 1/2 hour. Drain. Then cover with lemon pepper and granulated garlic. Then i cover with bbq sauce. Brush with bbq sauce once while cooking and viola! It is perfect for a quick lakeside or beachside bbq! This sounds good, what kind of beer do you use? I know you have a bunch of comments, but I have been grilling for 45 years and I can tell you that this recipe is by far the Best I have ever encountered. OUTSTANDING, THANKS. Just a tip – I’ve found the best barbecue sauce is Ah-So Chinese (red) barbecue sauce, great for ribs but even better for chicken. You can find it in the International/Oriental section, or order it online if you can’t find it. For best results, marinade for 1-2 days. It is out of this world!! You will never go back. It can be served with duck sauce, if you like. Ah-So Chinese BBQ sauce is mostly high fructose corn syrup. No thanks. I’ve never been good at grilling chicken on a gas grill, until I used your directions. In the past I always tried to rush the process and kept all the flames on, now I know better. Thanks so much! My 3-burner Weber has a great thermometer in the lid and will only maintain a low 300-325ºC if I turn off TWO of the burners once it’s heated up. That’s only about 12-13,000 BTU ! (Webers are very efficient with gas, YMMV.) The recipe says medium-low, 300-325 range is medium-low and any higher it will cook too fast & not allow caramelizing of the sauce. So the recipe is not technically wrong although many people not watching the grill temp may tend to dry out and burn their chicken. – after initial searing, can turn OFF all but the FRONT burner, which is left on HIGH. All the chicken is on the back two-thords of the grill, indirect heat. – this one burner maintained a perfect 325º C ‘Medium Low’ indirect grilling temp for the remainder of the slow cook / baste and turn cycles. – > SUCCESS – perfectly done in the recommended time, could even go a bit longer with thighs. Would even try skin-on breasts for those who prefer. – problem of sticking / tearing skin – go easy, don’t touch the skin directly! Try to ‘roll’ the pieces over more than grasp too firmly, the tongs tear them easily. This was fun to learn, thanks! I’m so glad you tried again and shared with us your success! In all your comments your saying your using over 300 degrees celsius which is waaaay above what the article says. I’m not sure if you meant fahrenheit or if your getting good results with such an extremely high temperature. 300 degrees Celsius is over 570 degrees Fahrenheit. I just want to say that I tried this recipe pretty much exactly as instructed and it turned out perfect. My personal best…. and I have screwed up more than a few attempts at barbequing chicken. I just did thighs. Took left overs to work and co-workers loved them too. Personal fail. Cooking time gas grill says 90 mins, mine were way overdone at one hour on LOW. The power of a Weber Genesis? Disappointed to have charcoal made out of expensive best quality ingredients, will need to adjust method radically or seek a better recipe for my gas equipment. Carbonized making skin and sauce inedible. But I’ll try again. Instead of moving chicken to the cool side of the grill or turning the burner to low, I move the chicken to a grilling plank (properly soaked) and place the plank over med/hi heat for 15-20 minutes or until done –>indirect and smokes! After a couple of bastings with BBQ sauce, I remove the plank and place chicken briefly (just a minute or so) to allow the sauce slightly caramelize leaving great grill marks.